Today for Marvelous Monday, I am not going to tell you about a product. 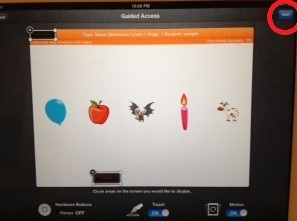 Rather, I am going to tell you about one of my favorite things to use on my iPad- Guided Access! 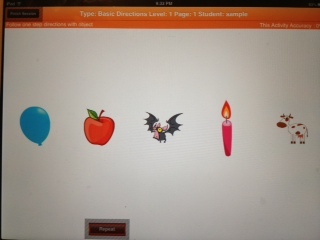 Have you ever directed your student to an app, and they quickly push a few buttons and are out of the activity? Their progress and data are sometimes lost when they do this. Guided Access can solve this problem for you. To enable guided access on your computer, you just have to follow a few simple steps. 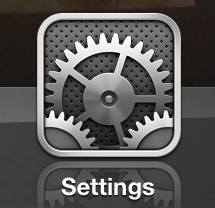 First, launch your settings app. 2. Scroll down and tap “Accessibility." 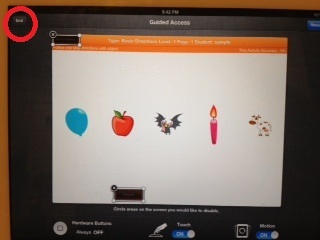 Scroll down and under Learning, tap “Guided Access”. 1. Slide on “Guided Access”. 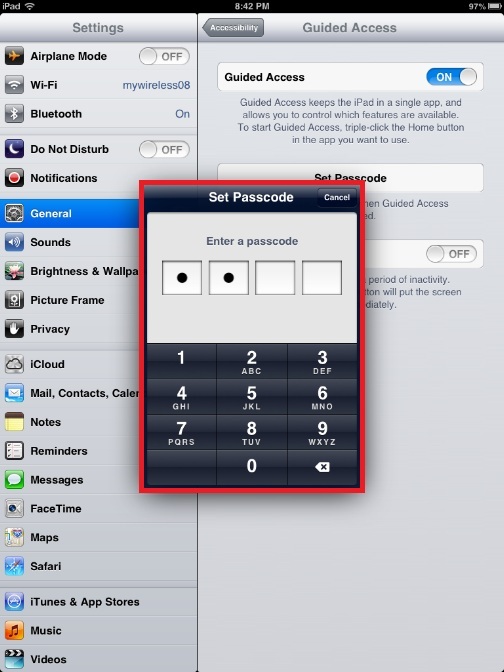 Type in a 4 number passcode. Now you are ready to use Guided Access with one of your favorite apps! First, select and open the app that you want to use guided access with. I am going to use it with Auditory Workout. 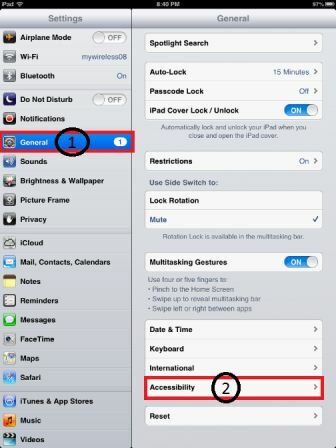 Triple click (three quick clicks) your home button on the ipad or iphone. After triple clicking the home button, you should get a screen that looks like this. 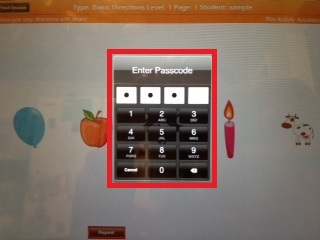 Use your finger to trace around the areas of the app that you do not want students to access. I chose the 'repeat' button and the 'finish session' buttons to block out. A box will pop up where you drew your circle. You can move, stretch, and shrink the box. Trace as many boxes as you need to, and then press "Start" to begin Guided Access. Guided Access is now enabled. Students will not be able to press the home button and escape the app, nor will they be able to access the buttons you have blocked. 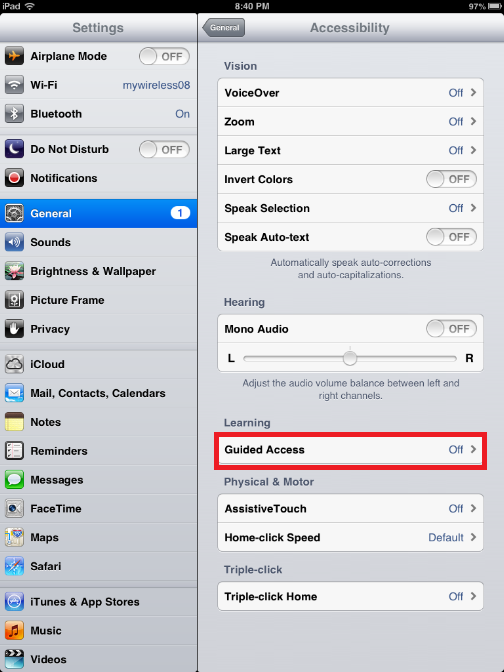 To exit Guided Access, triple click the home button on the iPad. 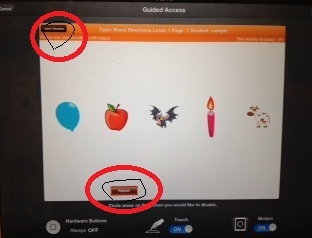 The passcode box will come up. 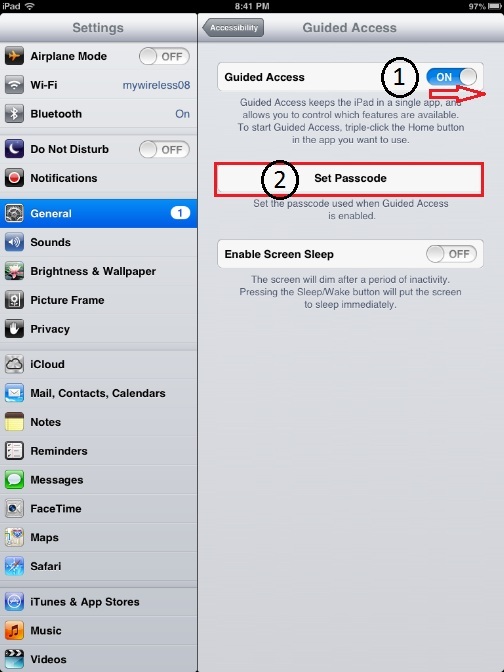 Type in your passcode that you set. Tap "End" to exit guided access. The app now returns to normal. All functions of the app and the iPad will work now. I hope this tutorial was helpful. I know that some people at my school were not aware of Guided Access and how it works, so thought I might share it here. 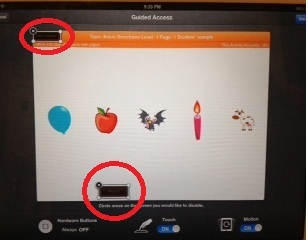 I use it almost everytime I use the iPad with students, especially my students with ASD. They are experts at getting out of the apps I set them up with!